Ken Ulansey and Phyllis Chapell have been blending their instruments and voices together for over 20 years, mixing influences and broadening each others musical outlooks. As a duo, they draw from traditions as diverse as the Middle East, Eastern Europe, Brazil, Ireland, India and, of course, the American songbook. Their travels through most of these cultures lend an authenticity to their music that's wonderful and rare! When with their larger group--as big as a 12 piece band--these influences expand astronomically, creating a maelstrom of infectiously danceable rhythms. Phyllis Chapell plays guitar and sings songs from around the world. Her repertoire features songs in 13 languages from Brazil, Latin America, Europe, the Middle East, and the U.S. 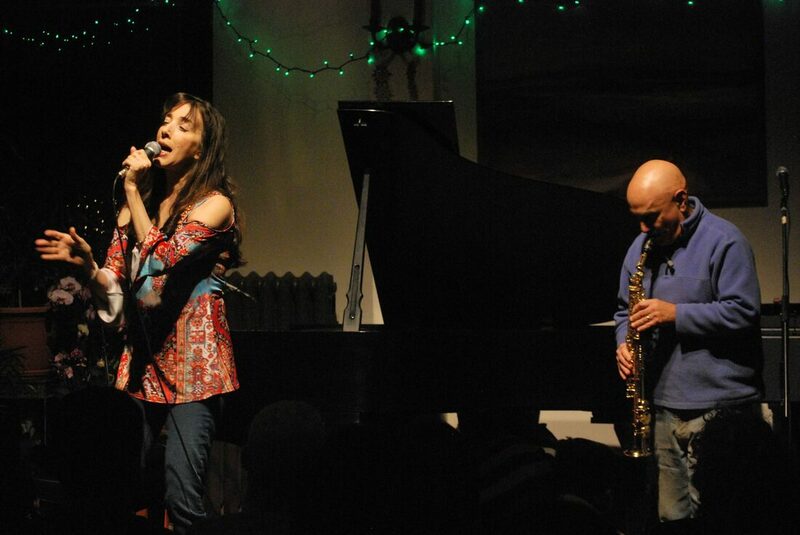 Her 3-octave vocals are supported and complemented by her acoustic guitar, capturing the essence of musical styles from percussive Brazilian sambas and explosive flamenco to elegant folk, jazz, contemporary, and original ballads. She has been named one of the top 500 jazz vocalists of all time by Scott Yanow (Downbeat, Jazz Times, AllMusic Guide) in his new book, "The Jazz Singers: The Ultimate Guide". The Inquirer raved, "Chapell is an elegant singer who will steal your heart away. She eludes all labels!"